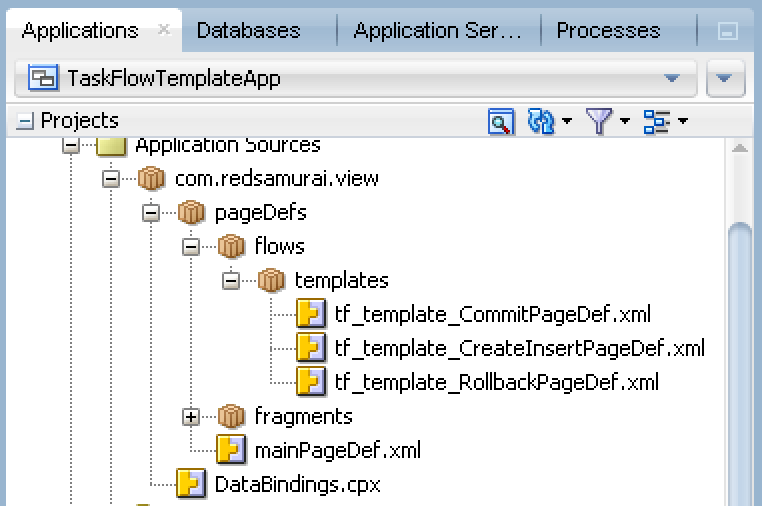 There are great improvements in ADF task flow templates in 12c release. 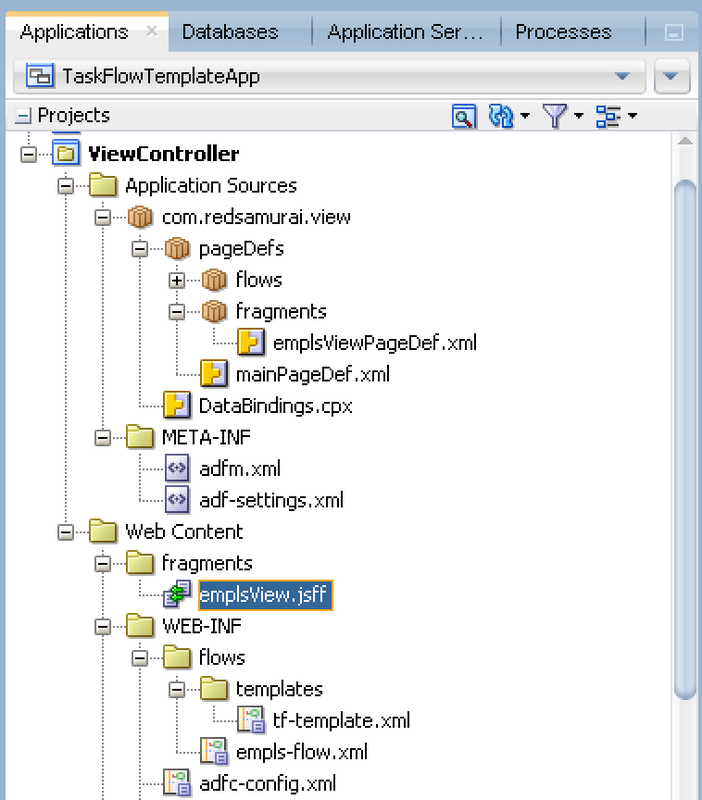 We can use ADF task flow template based on other template and what is even more amazing - JDeveloper 12c ADF task flow diagram window displays template contents when editing actual consuming task flow. 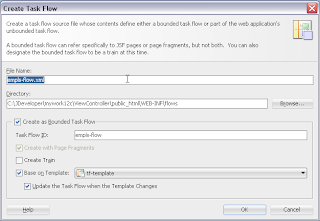 There is option to substitute activity in the consuming ADF task flow for the generic activity from the template. I'm going to explain how you can do this. 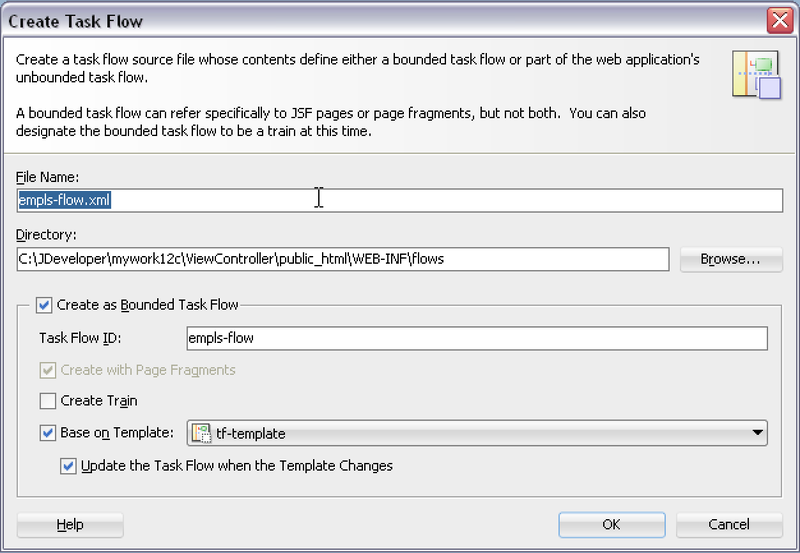 As you can see template contains generic router activity - it check how task flow should be loaded and if new row should be inserted. 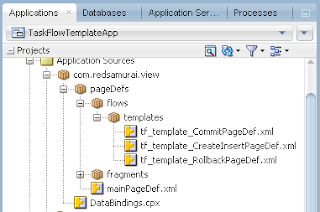 There are method calls for Commit and Rollback operations, meaning no need to add Commit and Rollback operations into Page Definition, will be called directly from the task flow. 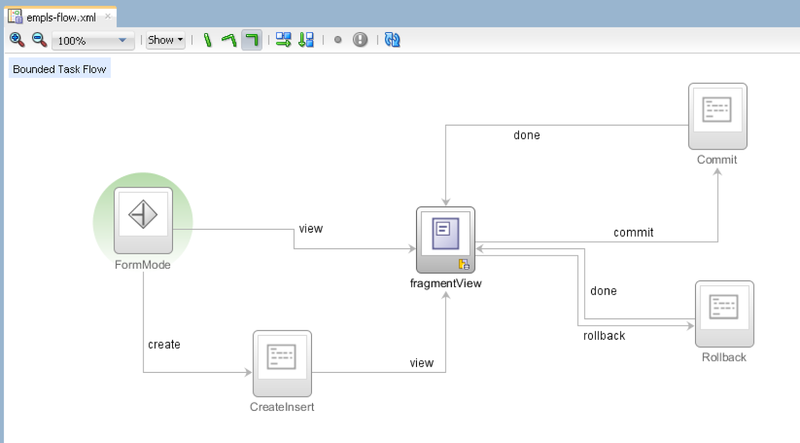 Activity - fragmentView is defined, but not created, we are going to substitute if the real fragment a bit later in the consuming task flow. 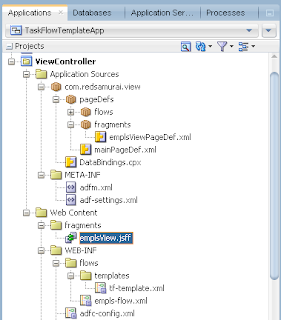 Sorry Andrejus, but your sample is not complete : missing the "create" way ...and furhermore your sample doesn't work in the complex enterprise project ...where all task flow template are positioning inside a Common View (to share) without data control. Please tell specifically what doesn't work. 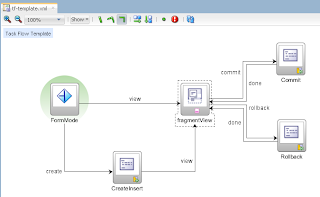 Sample works in 12c. 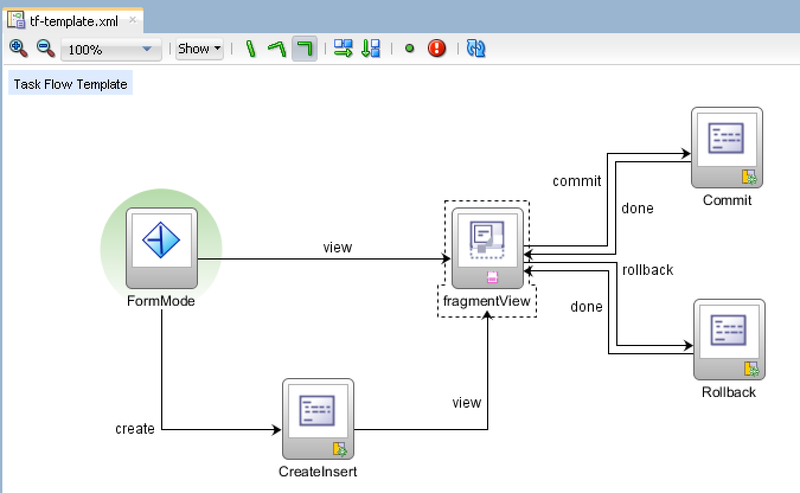 I would also like to add, we can override almost every component, not only View. 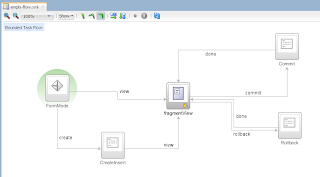 I tried this in 12c, and I was able to override all task flow components, except control flows. Nice article, but seems like the sample download link is broken. So my guess is that we have to live with these kind of warnings when using taskflow templates.